The coffee is tasting great on this fine morning. I have to say that the last two weeks have been extremely busy but also productive. Let me think of something that transpired this last week that would be a good lesson to illustrate. Equally – as much as one can become defined by what they do they can also be defined but what they don’t do. Inaction can be a good or a bad thing pending. It is why great care should be taken in choosing to participate or not. IF you look at what we do as just a hobby, sport, recreational, way to belong/meet people – YES tends to be used more freely. IF you are doing it as a career (main income) the YES becomes something that only happens after much exploratory conversations. 1) “Experience not needed” – Yes. I’ve seen this on casting posts. I would not hire an electrician, a plumber or a dentist with this mentality. It says that a person or company has not yet grasped how valuable cast is to a final project. And it has to be CAST as a whole. One powerful performer surrounded by stiff, clueless performers will ruin a scene. You must take care with ALL your casting. And yes, experience is preferred. 2) State that the project is PAID or not right off. It respects the time of artists. Professional established talent will not work for free. If a professional talent took time to read your script and perhaps do a read – what a waste of time if it is revealed to be a credit thing. Now IF you have zero credits – do it. Fight for 30-60 seconds of great footage that can sell you onto professional films. Most of those hobby films have bright moments they just can’t keep that throughout the film. So, save yourself time and ask about PAY right away. The common come back is WE WANT PASSIONATE ARTISTS WHO CARE ABOUT THE ART VERSUS THE MONEY. Guess what? WE WANT A PRODUCTION COMPANY THAT CARES ENOUGH ABOUT THE END PRODUCT THAT THEY HIRE WHAT THEY NEED. I was about to use a camera as an example of paying for what will serve a film best BUT… I see people get nice cameras and bad glass (lenses) so that example is not going to work. Another good example is like the ultra low SAG films that use union and non-union. Non-Union for an actual role doesn’t mean we don’t pay because we don’t have to. We pay all main talent union or not because we want strong talent. In summary – once established don’t work for free. 3) SCRIPT – recognize that the script is the blue print by which every department works with. First ALWAYS read a full script before accepting a role. If the script is poorly formatted or too short/long in page count for a feature that equals TROUBLE. Someone who has it all “up here” or we “make it up as we go” – RUN! Lack of proper script, pay or understanding of the importance of experience will always get a NO from me. I know that a few smug artists (while misguided I do still consider you artists) will argue that they can use all volunteers, not pay and make up a script on the fly and still succeed. That formula has a small % of success. Magazines will raise up and praise those that do succeed despite themselves. But that is not the norm and they never showcase the countless failed artists and the messes they created often with others money. So if you broke all those rules and you still got a powerful piece with major distribution – congrats. I look forward to seeing your masterpiece. Okay, how about we get onto some updates? Yes! This week we were working on some distribution artwork for “Donors” and “Bestseller” is next on deck. The domestic deals on these two films are done and 1st quarter of 2016 will see these release. “Bestseller” additional theatricals are in the works. I don’t have all the details but worldwide on “The Terrorist” was signed. I enjoyed the people I worked with on this film very much. It was one of the hottest summers on record and that was less than cool. But the final film is what matters and we have something special to share. “Ashes of Eden” – We might have a special encore showing in a theater before it releases on Oct. 13th with Lightworx Ent. 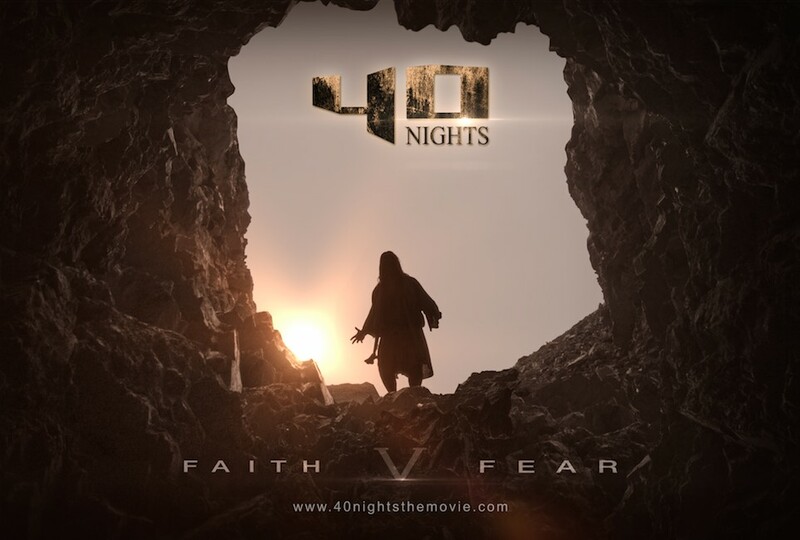 “40 Nights” – the kick off release of the trailer kicked off a lot buzz. Some of the business talks in the wake of this has been exciting. Buyers are starting to get their first look and next week we finalize the licensing management agreement. If you want to create product to sell using the “40 Nights” brand feel free to reach out and I will put you in touch with the right parties. We have some interested parties already and the opportunities are building. On a Tee Shirt? Lunch Box? Coffee Mug? The film tweaks have been made and the transition to full post audio music and sound design is underway. The work starts Monday and I’m beyond thrilled. This week look for an exciting announcement with “40 Nights” and onto development. We have been getting some great acting reels in from talent around the country for a pair of upcoming CDI projects. The 1st being a western and the 2nd another biblical drama. It will also get announced that the western has been given a letter of intent by Lightworx for worldwide distribution. They are already on board the 2nd biblical film as part of our 3 picture deal with them. I’m enjoying having the distribution in place ahead of time. I enjoy the collaboration with the people selling for us. It is nice to discuss things in the script stage. Watch for many more announcements on these two films. OK. Off to deal with BUDGET rental car charge on my production credit card. I’ve had issues with them on two different times. I think it might be time for a company move to another rental company. Always something:) Have a great weekend!